Yes, this yarn is as bright and intense as it looks. 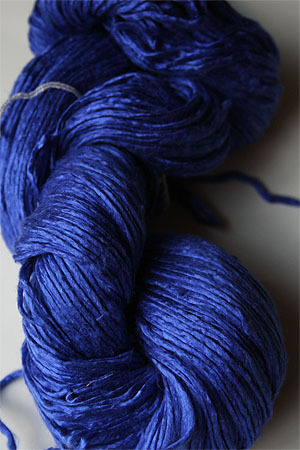 Maybe brighter - sometimes capturing yarn colors is very elusive. This incredible french blue just jumps out at you - if you love blue, this is the yarn color for you - add to the vibrancyof the coor, the shimmer of this particular type of silk, and you'll be amazed at what you can make with it.